And to both of them, a dog’s poop is not just a poop. For clients who want to know about it – and most of them do – it is a very notable action, and sometimes a product to be described in great detail. In a nation where people lead ever more busy lives and increasingly view their dogs as family members, professional dog walking is flourishing. And along with it is what might be viewed as the unusual art of dog walker communication. Many of today’s walkers do not simply stroll – not if they want to be rehired, anyway. Over text and email, they craft fine-grained, delightful narratives tracing the journey from arrival at the residence to drop-off. They report the number of bathroom stops. They take artistic photos, and lots of them. Dog walkers’ notes are often more exhaustive than those parents get from the caregivers of their human children. That is partly because whether a dog relieved itself can be the difference between an unsullied carpet and a steam cleaner rental, but also because many owners consider their pooches children, only the kind who cannot report on their own days. “I have a three-year-old daughter, and I’ve come to the conclusion that some people treat their dogs like kids completely,” said Henry Moraga, 37, who spends every weekday, from morning to evening, pounding the streets of Oxnard, Calif., with groups of dogs that vary in number from three to 12. Rover requires its walkers to complete a standardized “report card” that includes arrival and drop-off times, route and pit stops. But sections for adding photos and a written account are where “walkers can really shine,” said Jenna White, the company’s director of dog-walking operations. New walkers are shown examples of particularly strong narratives during training, as well as advice on photos, the best of which White said have good lighting and not too much motion. Shots taken at iconic local spots, like doggy senior portraits, are even better, she said. He said his humorous text missives – and they are nearly all text – are an extension of his “quirky” personality. 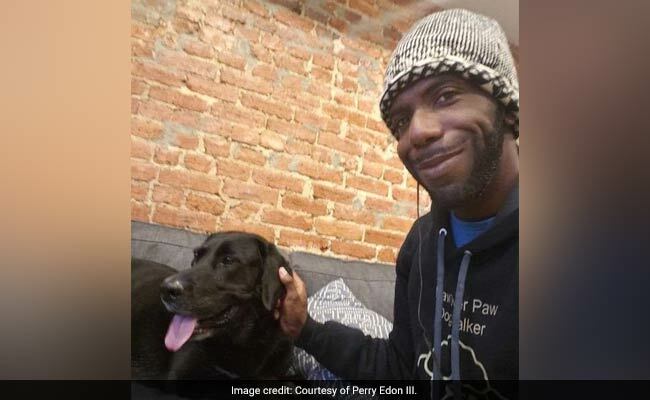 In them, he both channels dogs and mocks them when he believes an owner can take it; once, he texted a pug parent that the dog’s breed name stands for “pretty ugly” dog. This year, one of Moraga’s regulars, a border collie mix named Sadie, died following a bout with cancer. Her owner held a wake, and Moraga was invited. “It was just a bunch of people, beers and a toast,” he said.